Do you ever find yourself needing to thank someone and scrabbling around for a gift tag to brighten up your offering? I know I do. I’m a big Kraft paper fan. It’s so versatile. You can wrap up a present and then pretty up the paper in so many ways. Here’s a few of mine from last year. Well, last year I discovered another fab paper and cardstock called ‘Botany’. It’s a recycled paper and has the most gorgeous texture and look about it. It is very rustic and great for the environment. 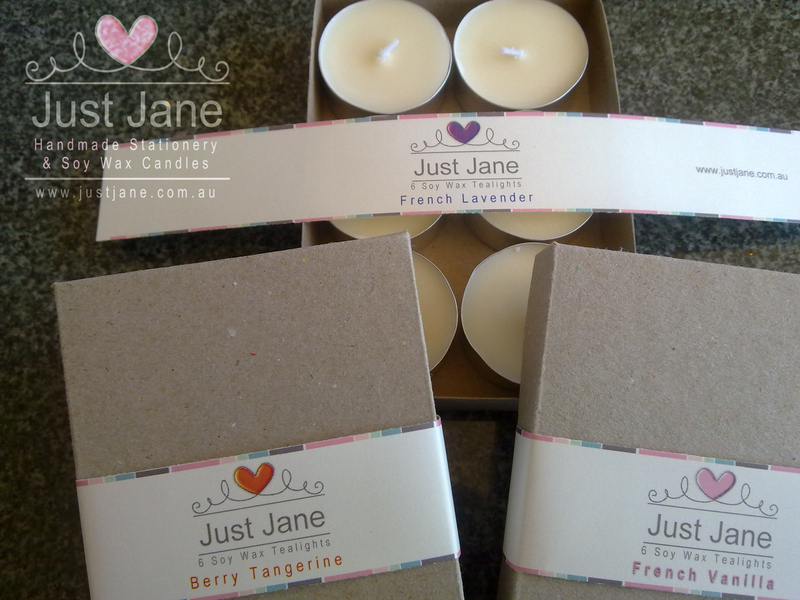 I’ve used it for all sorts of things including boxes for my tealight candles! 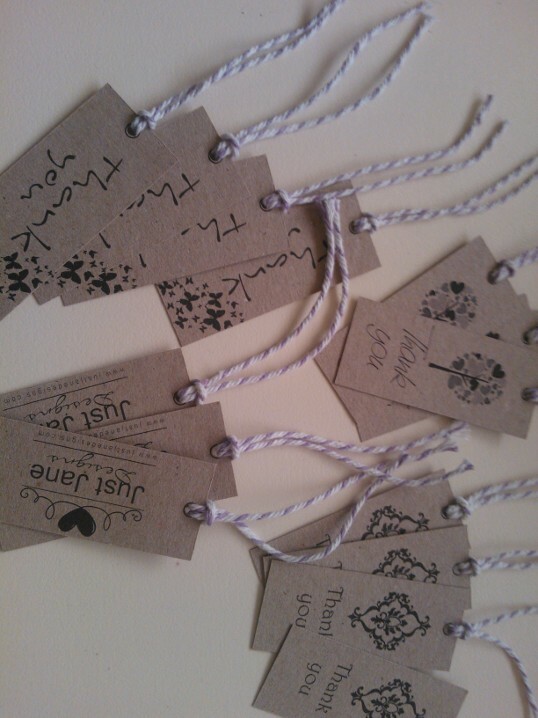 This week I’ve been inspired to create mini tags using this beautiful card. These are the cutest things ever (even if I do say so myself)! They measure 7cm x 3cm and will suit all sorts of jobs. How about tieing around the stalk of that plant you’re giving as a thank you? Or maybe add it to a brightly coloured party bag? The options are endless. And what could be simpler than the black print on this gorgeous rustic card! 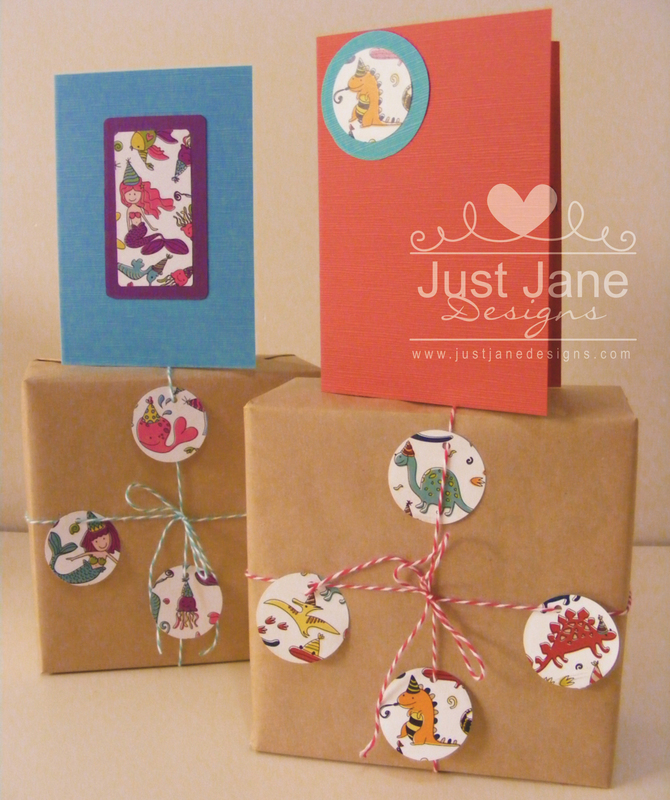 You could make these yourself or if you prefer pop over to the Just Jane Designs shop and purchase from there. Categories Currently Working On ..., General, Handmade, Hints, Tips & Inspiration! Well, here we are starting the 8th month of 2011 – where has the time gone? Just Jane has undergone (yet another) facelift and my entire branding has changed. Hopefully it’s an improvement but only time will tell. I’ve done it all myself – websites, facebook welcome pages, Facebook profile pictures – so no doubt there will be lots of little hiccups as time moves on! I’ve got some other news too, but will save that for another day. Rich red shimmer cardstock and handmade polymer clay hearts give this new invitation set a dreamy look. The set is not quite ready for full display yet, but I couldn’t wait to show you the pictures! I made these mini red hearts quite a few weeks ago now and they’ve been sitting in a box on my desk begging me to do something with them. And then after weeks of hard work on revamping my websites and having no time to get hands on creative … inspiration suddenly struck! I love the floaty effect of the hearts leaving the tag. I love the deep richness of the red shimmer paper. And I love the simplicity of the overall look. I’m especially loving the font, Dobkin Script, at the moment too! What do you think? Pandora Silver Charm – currently on sale at 63% off!! Red Heart Candles – Another favour idea? Red dresses – I would not necessarily recommend buying a dress off the internet however. Do thorough research and due diligence. Red wedding cakes – just look at all these beautiful cakes! A google search for ‘red wedding cakes’. I’d love to see your red wedding pictures.